It doesn’t get better, I said. The pain. 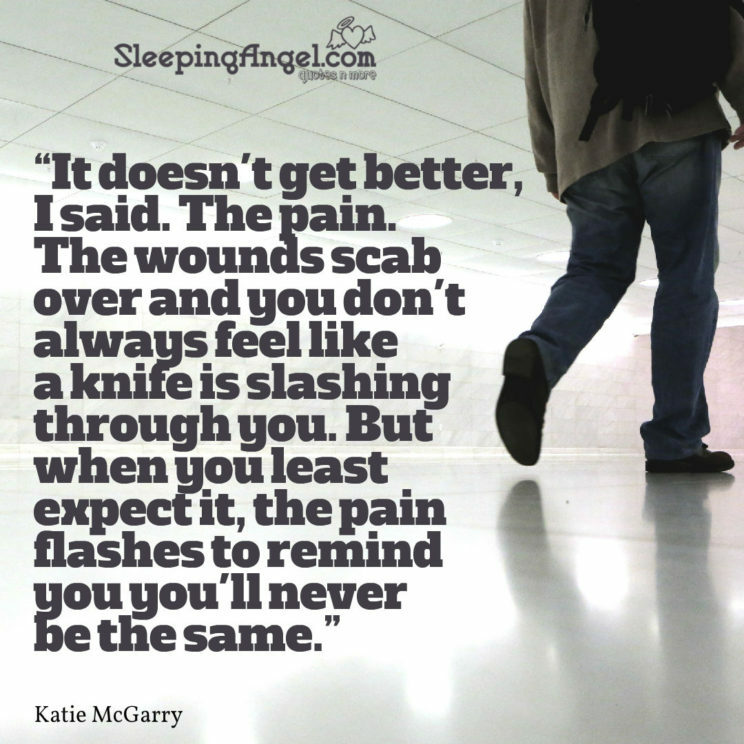 The wounds scab over and you don’t always feel like a knife is slashing through you. But when you least expect, the pain flashes to remind you you’ll never be the same.